The Senate is sending a number of Maui bills for the House to work on, including a package in response to the strange interpretation of the State Liquor Laws by the Maui Liquor Commission, especially regarding non-profits applying for one-day fund-raising licenses. We’ve reached the midway point of the 2018 Regular Session of the State Legislature. The House and Senate have exchanged bills that have been approved by the chamber that introduced them. SB2612 SD1 will waive fees and other requirements for class 10 special liquor license required for fund-raising events. It also enables a social club granted tax exempt status to sell wine from the social club’s inventory to the club’s members for off-premises consumption. The amendment also specifies that the class 10 special liquor license includes the ability to auction off, at a live or silent auction, liquor in sealed or covered containers or services that provide liquor. SB2613 authorizes the liquor commission to issue a new restaurant liquor license prior to the restaurant commencing operation. It clarifies that a class 2 restaurant liquor license is transferrable, provided that the transferee certifies that the transferee intends and shall derive no less than 30 percent of the establishment’s gross revenue from the sale of foods. SB2711 SD1 allows craft breweries the same authority as wineries to sell and ship directly to customers, and clarifies the requirements for operating retail outlets in more than one county. SB2945 eliminates the requirement that the applicant for a liquor license or a renewal of a license, or in the case of a transfer of a license, both the transferor and the transferee produce either a tax clearance certificate from the Internal Revenue Service or proof of entering into an installment plan agreement with the Internal Revenue Service. Finally, SB2549 SD1 requires the liquor commission to reduce submission requirements for the issuance of temporary licenses for the sale of liquor for a period not to exceed one day for fund-raising events by nonprofit organizations. 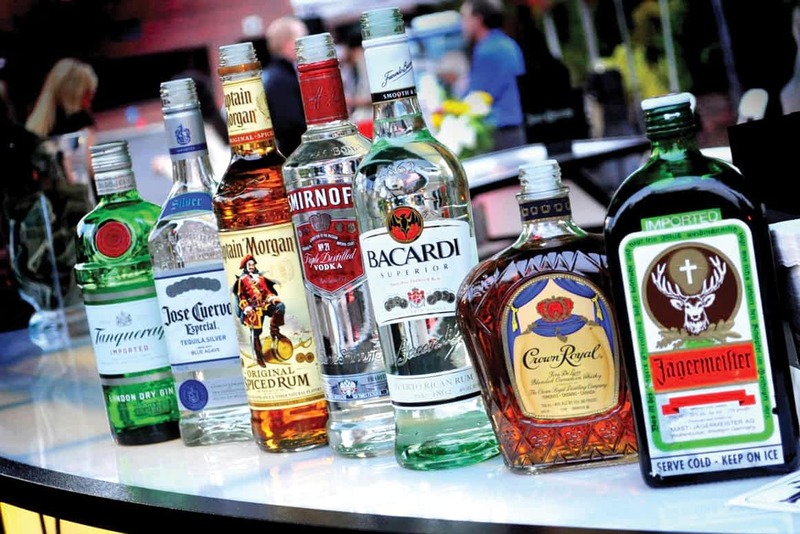 It also permits nonprofit organizations that have been issued a temporary liquor license for a fund-raising event the ability to auction off, at a live or silent auction, liquor in sealed or covered containers or services that provide liquor. A major proposal, SB 2996 SD3, will shift management of Hawai‘i’s airports from the State Department of Transportation to a quasi-private organization—an Airport Corporation—similar to how major airports and ports are operated on the mainland. SB2619 SD2, Relating to Aeronautics, replaces criminal penalties for certain airport offenses with a civil penalty. At the request of the Maui County Council, SB2256 SD1, Relating to Highway Beautification, makes the motor vehicle registration fee for U-drive motor vehicles consistent with the fee for all other motor vehicles. In addition, SB2614 SD2, Relating to Taxation, extends the period by one year that a County may adopt a surcharge on state tax, under certain conditions, from 3/31/2018 to 3/31/2019 to fund County transportation programs. With fuel taxes not expected to generate as much revenue as in the past, some other source is needed to repair and maintain County roadways and perhaps match available federal funds. After several years of debate, a paid Family Leave bill, SB2990 SD2, is moving. Currently, 42 percent of private sector employees in Hawai‘i do not have access to a single day of paid leave to take care of a loved one or bond with a newborn child. While 247,000 Hawai‘i residents already serve as family caregivers, by 2020 about 40 percent of the workforce will be caring for aging parents. From keiki to kūpuna, paid family leave provides for better health outcomes for newborns through well-baby visits and vaccinations, and increased at-home care opportunities allowing elderly parents to age in place. Family leave generally resulted in a net benefit to employers by increasing employee retention and recruitment, and improving employee engagement, morale, and productivity. Hawai‘i residents discovered in the past year that State requirements limited the ability to invest in bit coin and other crypto currencies. SB3082 SD1, Relating to Virtual Currency, proposes a framework for the Division of Financial Institutions (DFI) to regulate the still-emerging virtual currency industry (i.e., bit coin). DFI will be able to accept like-kind virtual currency as permissible investments which addresses concerns from bit coin and other crypto currency transmitters that they are unable to hold cash and cash-like permissible investments to cover their virtual currency transactions. In order to help the community colleges expand international study opportunities, SB3037 SD2, appropriates funds to grant one or more programs sponsored or organized by a University of Hawai‘i campus to implement international college experiences for University of Hawai‘i students. Finally, a number of tax-related measures are aimed at promoting tax compliance. SB508 SD1, Relating to Taxation, promotes tax compliance by increasing the taxes withheld on the amount realized by nonresidents from the disposition of Hawai‘i real property from 5 percent to 9 percent. SB2415 SD1, Relating to the Conveyance Tax, Raises the conveyance tax rates for residential investment properties with a value of at least $2,000,000. SB2968 SD1, Relating to Taxation, ensures that the State is able to collect the appropriate amount of general excise taxes on rents owed by all property owners, whether or not the owners are residents of Hawai‘i or not. SB2699 SD2, Relating to the Transient Accommodations Tax, imposes the transient accommodations tax on hotel resort fees that are calculated separately from the advertised transient accommodation’s rate. The bill also clarifies that the transient accommodations tax shall be calculated based on the gross rental. Further, it specifies that the transient accommodations tax is to be collected from transient accommodations intermediaries who arrange transient accommodations at noncommissioned negotiated contract rates in the same manner as transient accommodations operators. SB2693 SD1 establishes a one-time amnesty program for certain illegal short-term vacation rental operations and allows transient accommodations brokers to register as a tax collection agent for its operators and plan managers. It also requires registered tax collection agents to inquire with their operators and plan managers whether the transient accommodation is in compliance with all state and county land use and tax laws. The bill requires the operator or plan manager to provide verification of compliance with state and county land use laws. The bill allocates up to $1,000,000 of TAT tax revenues to each county, contingent upon the county establishing a process to provide verification of compliance by an operator or plan manager with county land use laws. The bill makes it unlawful for a hosting platform to collect a fee for booking services regarding transient vacation rentals that are not lawfully certified, registered, or permitted under applicable county ordinances. 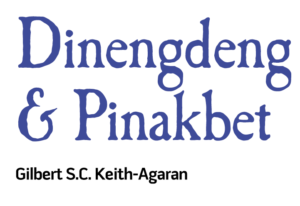 Gilbert S.C. Keith-Agaran serves the Central Maui communities in the Hawai‘i State Senate, where he chairs the Judiciary and Labor Committee. 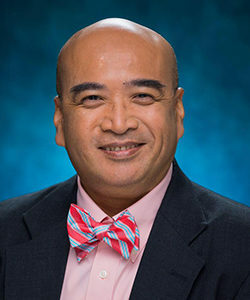 Sen. Keith-Agaran graduated from Maui High School and lives in Kahului. He practices commercial, civil and administrative law with Takitani Agaran & Jorgensen, LLLP in Wailuku. SB2489 SD2, Relating to Taxation, amends the formula for the amount of transient accommodations tax to be collected from time shares by increasing the base on which time share occupancy is taxed from one-half of the gross daily maintenance fees paid by the owner and are attributable to the time share unit to an unspecified per cent of the gross daily maintenance fees paid by the owner of the time share and are attributable to the time share unit. The formula has not been updated since it was established in 1998. SB2868 SD3, Relating to Taxation, imposes registration requirements and the transient accommodations tax on transient accommodations brokers, travel agencies, and tour packagers that enter into arrangements to furnish transient accommodations at noncommissioned negotiated contract rates on their share of the proceeds. A measure to have Real Estate Investment Trusts pay income taxes failed. Finally, a number of bills remain alive that would invest more of the Transient Accommodations Tax, or hotel room tax, in natural resources. SB2224 SD2 redistributes transient accommodations tax revenue by allocating more State Parks, Forestry, Small Boat Harbors and DOCARE, County lifeguard contracts, the University of Hawai‘i and schools, and less funds to Hawai‘i Tourism Authority for visitor marketing. Similarly, SB 3038 SD1 proposes similar changes for natural resources. The House will now have an opportunity to review these bills and almost four hundred other measures in the next phase of the legislative session.